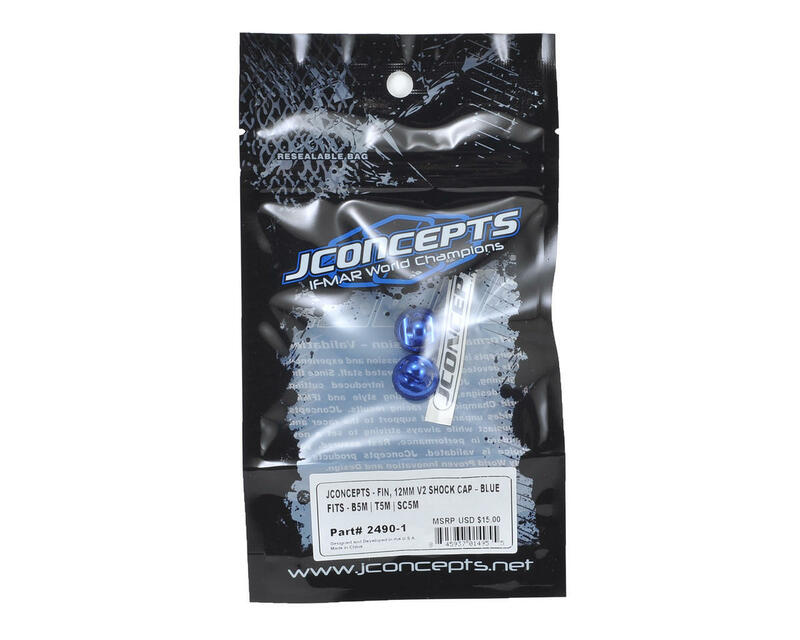 The JConcepts Fin Aluminum 12mm V2 Shock Cap is precision machined with angular bleed hole to allow for correct building procedure and maintenance, and are a must have addition for your Associated V2 shocks. The cap features weight reducing holes positioned about the center to reduce weight and the precision of the machined threads and knurling allow for a smooth transition while the cap seals over the standard shock body o-ring during assembly. 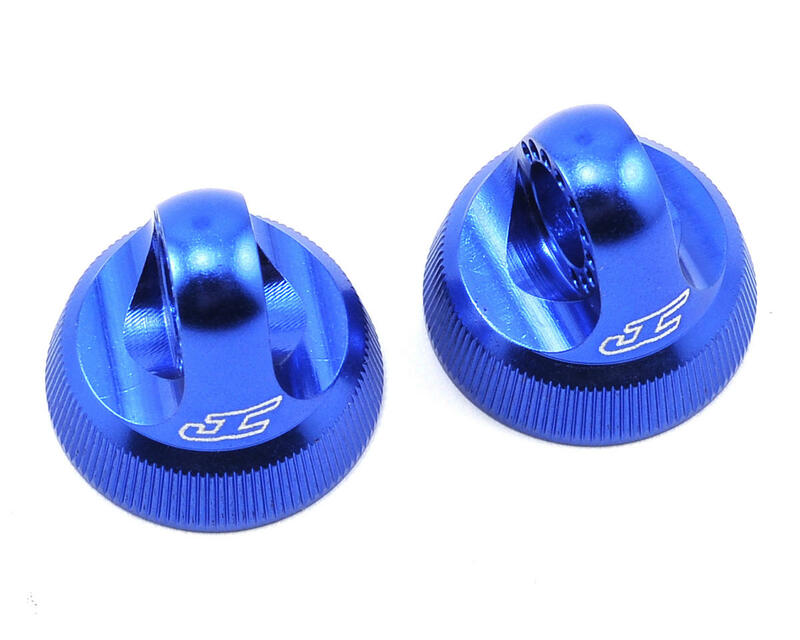 The caps are available in blue or black anodizing and include the etched JC logo for identification. Package includes two caps.